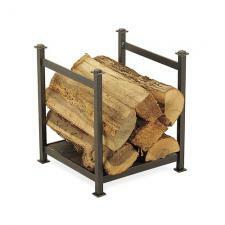 *Beautiful vintage iron log holder with natural stone slate base. *Measures 16" High x 14" Wide x 14" Deep. *Quality product from Pilgrim - 28 lbs.